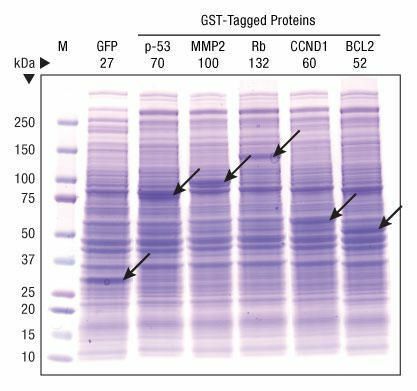 The 1-Step High-Yield IVT System uses modified HeLa cell extracts to take advantage of the robust human translation machinery and generate functional full-length proteins. 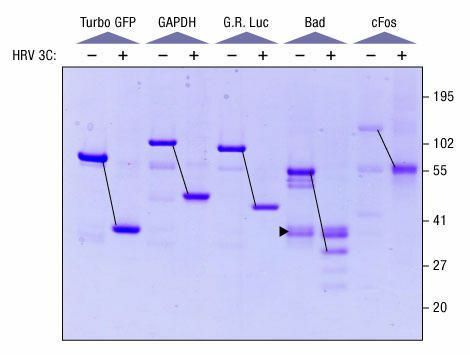 In this system, protein expression is performed in a proprietary dialysis device that allows a continuous supply of nucleotides, amino acids and energy generating substrates into the reaction while removing inhibitors of proteins synthesis. 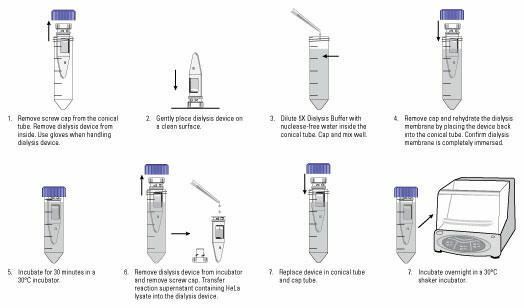 This continuous-exchange cell-free (CECF) system enables protein expression in an overnight incubation of up to 750 µg/mL. The complete mini-scale kit includes all the components required for transcription and translation of a recombinant gene, including an optimised expression vector. Delivery information: Each 1- Step Human High-Yield Maxi IVT Kit contains HeLa lysate (4 x 500 µl), accessory proteins (4 x 100 µl), reaction mix (4 x 200 µl), 5X dialysis buffer (23 ml), positive control DNA (pCFE-GFP - 10 µg), cloning vector (pT7CFE1-NHis-GST-CHA - 10 µg), microdialysis devices (2), and nuclease-free water (3 x 50 ml).